Firefighters in Coachella Valley, California battled a blaze at a local Islamic society mosque on Friday, one that may have been ignited intentionally and has been described as a possible “fire-bombing,” local media reported. 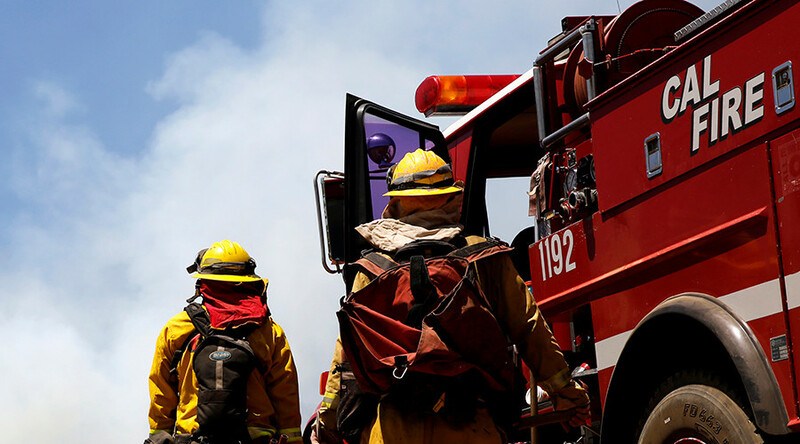 Initially reported shortly after 12 p.m. local time, the fire occurred at a mosque belonging to the Islamic Society of the Coachella Valley, according to NBC Los Angeles. It took roughly half an hour to put out the fire, which was primarily contained to the lobby of the 1,800-square-foot mosque, but smoke damage was reported throughout, the Los Angeles Times stated. So far, no injuries have been reported, though there were people praying inside when the incident began. While details are slim, officials told a local CBS affiliate that somebody “fire-bombed” the building. Meanwhile, witnesses said that a Molotov cocktail was tossed into the mosque, according to local NBC affiliate KMIR. Other outlets stated that officials were investigating the fire as arson, but that no determination has been made. “We feel bad," Mohammed Aowishah, a worshipper at the mosque, said to NBC Los Angeles. "We didn't do anything. We are innocent people." If the fire is determined to have been set purposely, it wouldn’t be the first time the Coachella mosque has been targeted. In 2014, five shots were fired towards the mosque, hitting the building as well as a car.